the pyramid of Khufu's grandson Menkaure (Mycerinus).There are other smaller pyramids, temples, and a causeway in the Giza necropolis.It is believed the Great Sphinx's head was modeled on Pharaoh Khafra. 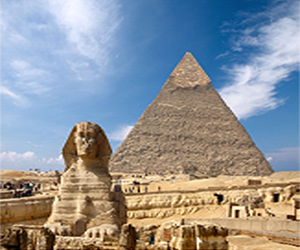 Based on the presence of rainwater erosion by the sphinx, it is possible that the sphinx is 2000 years older, according to Archaeology Daily's"The real face of the Great Sphinx of Giza". If so, the face would not have been the pharaoh's. The Archaeology Daily article suggests a lion head to go with the body. 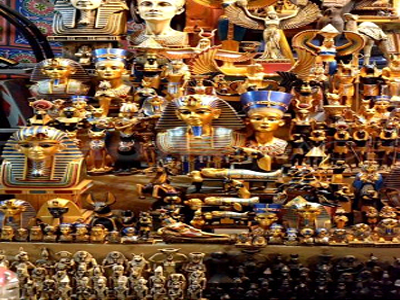 The Egyptian museum was founded in 1857 and right now it contains the world largest collection of Egyptian and Greco-roman articrafts. The museum is huge and you would need days if you wanted to deeply observe any room. 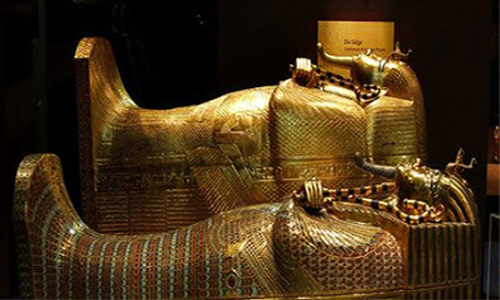 In my opinion if you intend to stay there a few hours you should make sure to not miss the rooms 22, 27, 32 and 37 with sarcophagies and grave goods of the middle kingdom, room 52 with mummies and the treasure of Tuyankamon which is extremely well preserved. 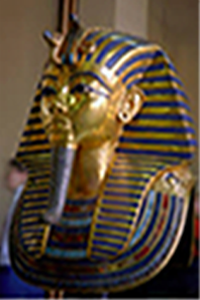 Memphis was believed to be under the protection of the god Ptah, the patron of craftsmen. 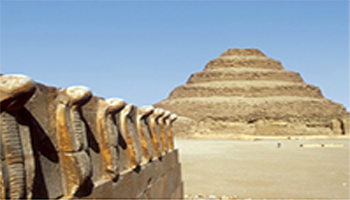 Its great temple, Hout-ka-Ptah (meaning "Castle of the ka of Ptah"), was one of the most prominent structures in the city. The name of this temple, rendered in Greek as Aί γυ πτoς (Ai-gy-ptos) by the historian Manetho, is believed to be the etymological origin of the modern English name Egypt. The history of Memphis is closely linked to that of the country itself. 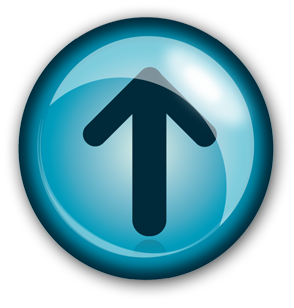 Its eventual downfall is believed to be due to the loss of its economical significance in late antiquity, following the rise of coastal Alexandria. Its religious significance also diminished after the abandonment of the ancient religion following the Edict of Thessalonica. The ruins of the former capital today offer fragmented evidence of its magnificent past. 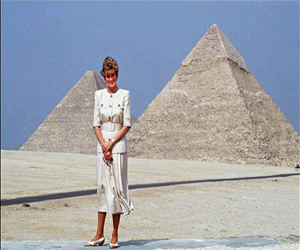 They have been preserved, along with the pyramid complex at Giza, as a World Heritage Site since 1979. The site is open to the public as an open-air museum. This souq is built in 1382. 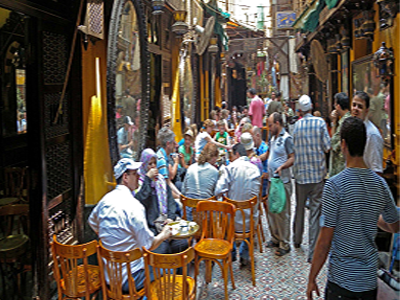 When the Sultan Barquq started his madrassa in Bayn el-Qasrayn, markets were rebuilt, and Khan el-Khalili was esEither you just walk around the souq or buy stuff like souvenir items, shirts, alabaster statuettes, shisha pipes, spices, papyrus, boofa, lamps, kilims, carpets, jewellries and all sorts of stufftablished. It was also known Turkish bazaar during the Ottoman Empire. 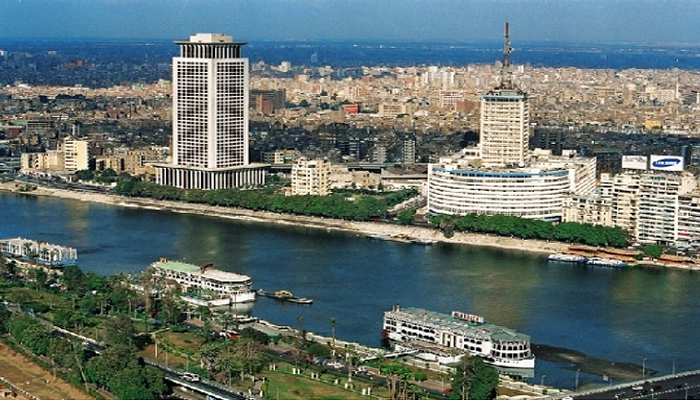 is a part of Old Cairo which encompasses the Babylon Fortress, the Coptic Museum, the Hanging Church, the Greek Church of St. George and many other Coptic churches and historical sites. Cairo Citadel or locally known as Qala'at Salah ad-Din is a medieval fortified promontory built by and during the Ayyubids rule under it's famous ruler Saladin, 1176-1183CE. 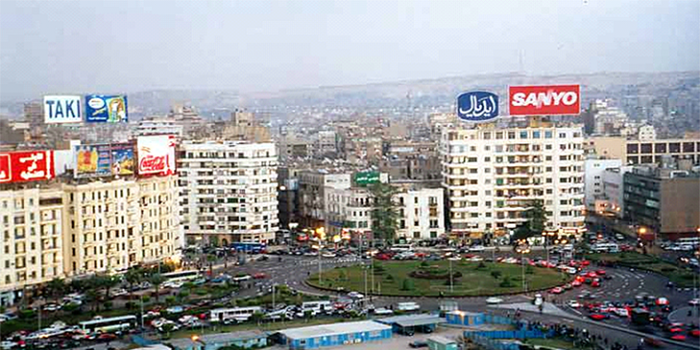 It was built to protect Cairo from Crusaders attack. 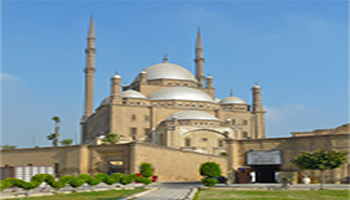 For great views of Cairo and the complex holds several mosques and museums. 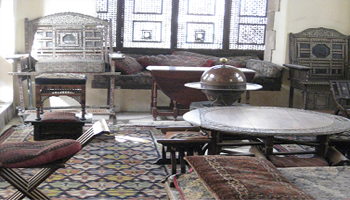 Besides the Ibn Tulun Mosque stands two of the city's most interesting houses, the Beit Amna bint Salim (1540) & the "house of the Cretan woman" (Beit al-Kritliyya, 1632). They were originally two separate structures, but a bridge at the third floor level was added at some point, combining them into a single structure. 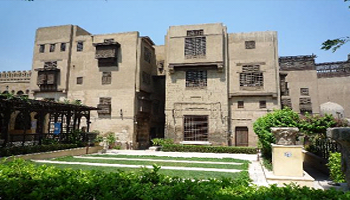 The house, accessible through the outer walls of the mosque, is open to the public as the Gayer-Anderson Museum, named after the British general R.G. 'John' Gayer-Anderson, who restored it in the early 1930's. The warren of rooms & galleries, the height of luxury in the 17th century, have recently been refurbished and decorated with some exquisite Egyptian, Ottoman and Persian antiques. While the majority of the visitors tend to seek Egyptian antiquities, one must not forget the 1400 years of Islamic heritage in Egypt. 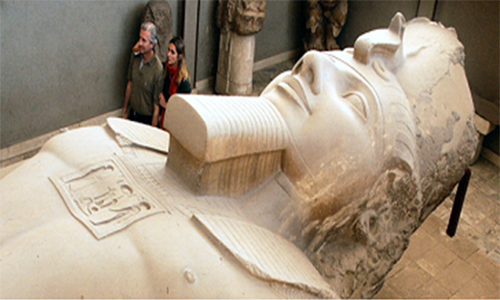 Numerous Islamic empires passed through Egypt and left treasures of their civilisations behind. Much of this art and culture is on display at the Museum of Islamic Art. 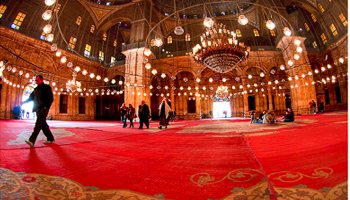 The beautiful neo-Mamluke/Islamic edifice was built in 1904 by the Italian architect, Alfonso Manescalo.